Cleaning the outdoor environment can be quite challenging, especially since it is exposed to all kinds of factors. The real struggle occurs during the fall season, when dead leaves, debris and other particles simply invade your place. What do you do then? Leaf blowers make great choices. They are no longer designed for cleaning businesses only, but also for the average homeowner. Choosing one can be a challenge with so many options, so look for the front runners and research them accordingly. Weed Eater FB25 25cc 2 Stroke Gas Powered 170 MPH Blower is currently among the best selling products over the Internet. It is top rated as well, so there must be something good about it. As you learn more about this blower, it is easy to realize what stands behind its popularity. It is lightweight and it delivers a top speed, but it also comes with a powerful and efficient motor. With only 8.1 pounds in weight, the leaf blower from Weed Eater can be controlled by your grandma too. It has a reliable handle and a compact design that makes your life easier. Getting used to it is a matter of minutes only. As for the handle, it is slightly different from what you can find in other blowers (if you have used any). It is enhanced with a patented technology to reduce vibrations, so it puts close to no pressure on the arm. The speed is variable and goes up to 170MPH, while the engine capacity goes up to 25cc. Living in California? You can forget about this leaf blower then. It is not CARB compliant, so it is not available for sale in California. There are not too many differences between this unit and others, yet standards are standards. Given the operation mode – gas powered, you should be careful with the maintenance. Gas and oils tend to get messy in the long run, while their costs keep going up on a regular basis. Pay special attention to these fluctuations. Fortunately, the fuel consumption is not too high anyway, so the longterm costs will not skyrocket. In the end, Weed Eater FB25 25cc 2 Stroke Gas Powered 170 MPH Blower is definitely an investment. The lively colors and nice design make it look like a toy. But once you turn it on, you can sense the quality. It is built to deliver. The gas powered construction allows flexibility, so you can use this unit anywhere. Of course, just like most other units in this segment, you may not actually be able to clean dead leaves off grass surfaces. 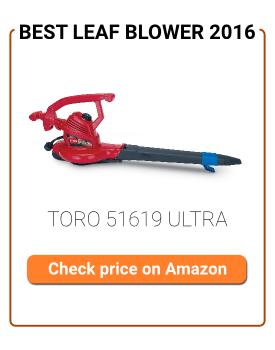 Other than this slight inconvenient, you will love the possibility to abuse your new leaf blower round the clock. It looks solid and enticing enough. It actually is. But in order to gain as much as possible from it, ensure that it will actually raise to your personal necessities. Different people come with different needs. However, when used as directed, there is no way to get disappointed.